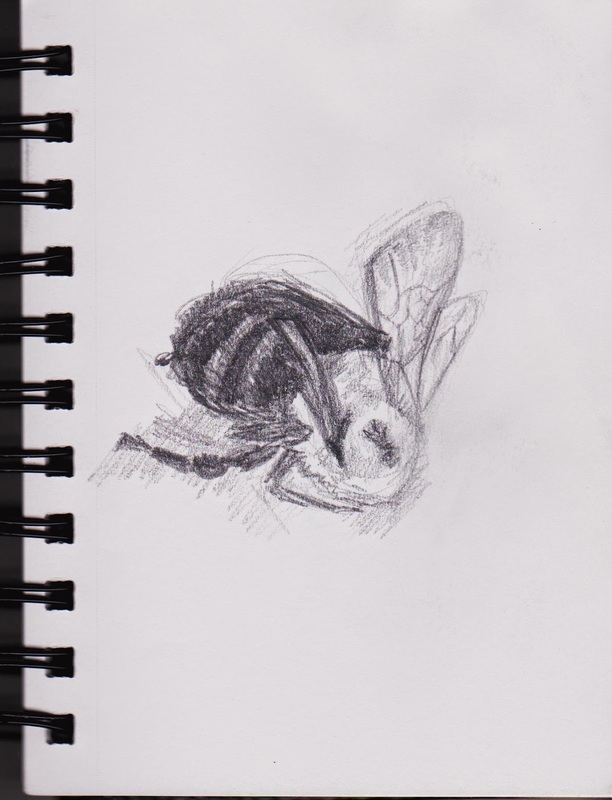 Last week during a walk with my dog, I found a poor little bumblebee lying on the sidewalk. Under close examination I realized it must have died just before I had come upon it. 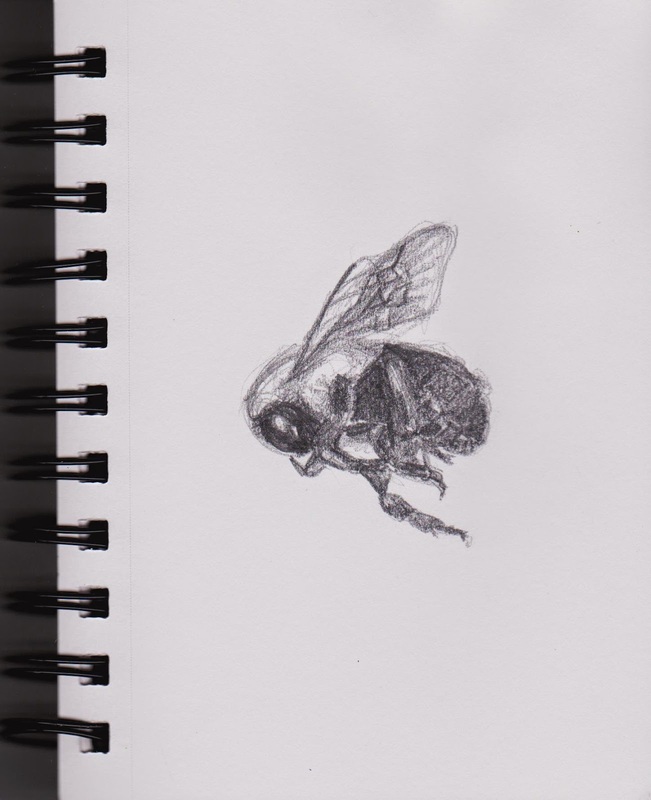 My curiosity took over me and I decided to sketch the cute pollinator.